The year started with the welcome news of a Php47-billion project to rehabilitate and clean-up Manila Bay, once considered the pride of the capital city. The promenade in Manila fronting the Bay itself was once an iconic spot in the capital, known for its still waters and picturesque sunsets. In more recent years, Manila Bay has turned into a representation of the ill-effects of development. Shanties are sometimes built around the promenade, and informal settlers have used the water for their own hygienic purposes. Raw sewage is known to be dumped into the waters itself, with business establishments surrounding the Bay choosing not to pay for their own sewage treatment plants to save on costs. 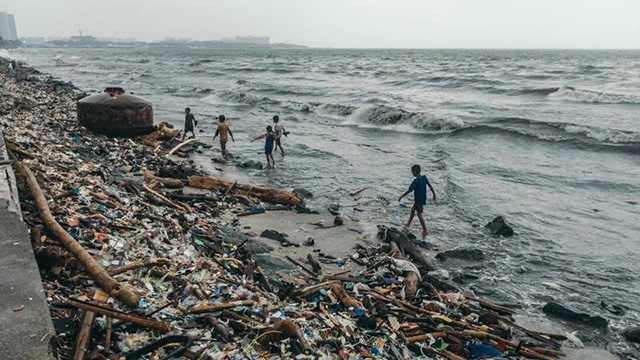 The garbage on Manila Bay’s shores after a typhoon. The overcrowding of people in Metro Manila has led to a decrease of livable spaces, millions of people from the provinces converge in the capital due to limited opportunities in their places-of-origin and the endless establishments emerging around the metropolis ensures they will find sources of income — no matter how low those jobs pay. Continuous developments have also starved the metropolis of space for future construction which has led to establishments being built just by Manila Bay itself, many of which do not comply with environmental regulations and dump untreated wastewater into the water – adding to the degradation of the water quality and the proliferation of garbage on its shores. 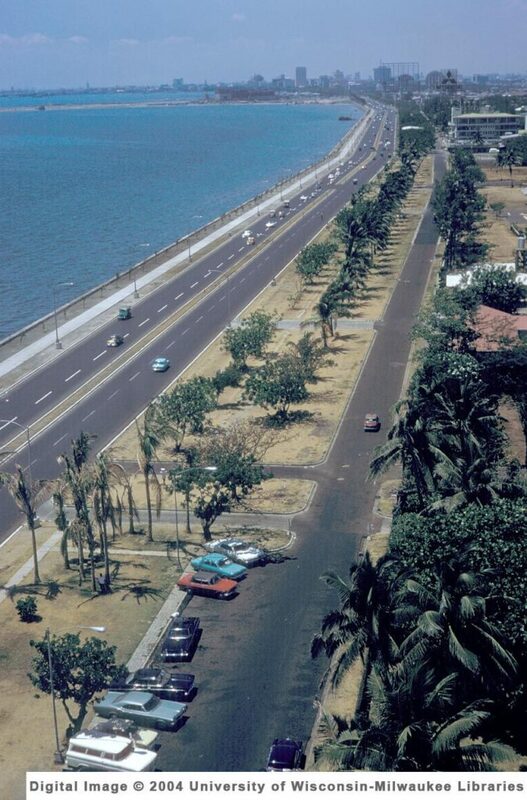 Manila Bay during the 1960s. Decades of overcrowding and over-development turned the once idyllic destination of Manila Bay into a cesspool, what was once revered by the residents of Manila became a source of embarrassment. Then came the announcement from the Department of Environmental and Natural Resources (DENR) revealing plans to rehabilitate Manila Bay in the same manner that they cleaned up the tourist island of Boracay. In many ways the story of Boracay Island and Manila Bay are similar; both were once known worldwide to be heavenly tourist spots which boast unspoiled natural sceneries. In both cases, their respective beauties have also been blemished by the commercial developments and overcrowding that have occurred – mainly to service consumerist demands. In April 2018, President Duterte shut-down the entire island of Boracay to tourists to make way for a large-scale clean-up drive. Establishments were ordered closed and later demolished, sewage pipelines leading to the water were removed and commercial businesses would only be allowed to continue operating if they had adequate sewage treatment facilities. By November last year, the tourist island was reopened to tourists once again – albeit this time, in a more pristine condition than before it was closed. New strict regulations were also in place ensuring that only a certain number of tourists can be on the island at certain times, and for establishments to be built a sizable distance away from the shore. 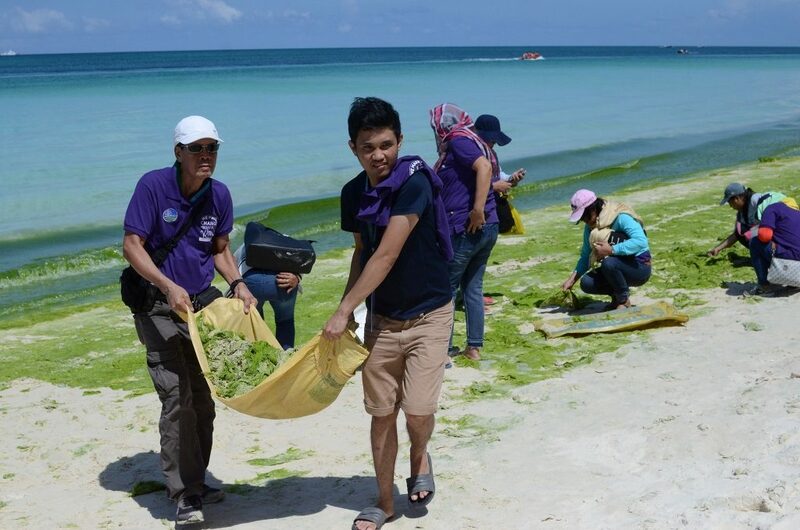 Workers clean-up algae from the white sand of Boracay Island. 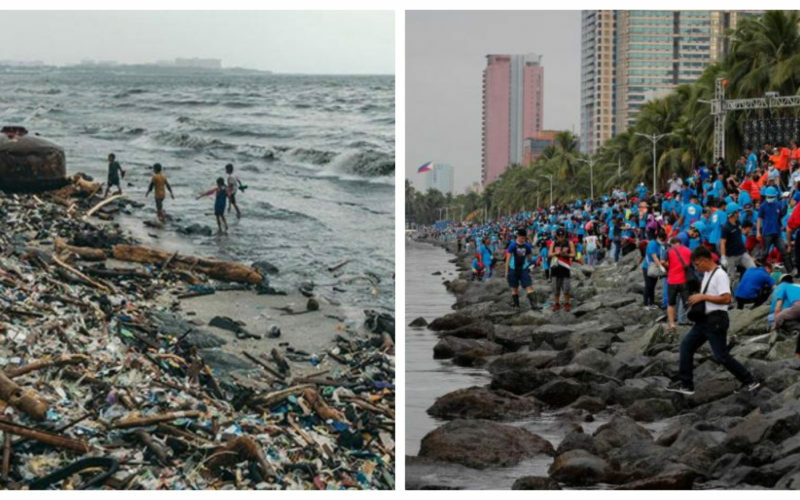 Seeing the success of Boracay’s clean-up drive emboldened the Duterte government to replicate the same program on other landmarks ruined by pollution, Manila Bay being the most obvious choice. However, experts were quick to note that the clean-up would be different from the experience of Boracay both in scope and in nature. For starters the entire catchment of Manila Bay measures 1.7 million hectares, equivalent to 1,700 Boracays. This means that the number of scalawag business establishments causing pollution in the Bay is a lot more than Boracay Island also. It will take more workers, more taxpayer funds and definitely more political will – but the results could prove highly beneficial to the Philippines. 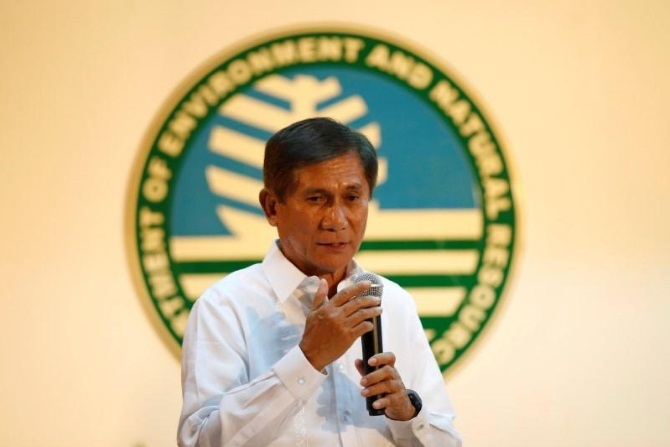 The DENR is already stating that the duration of the clean-up drive will outlast Duterte’s presidency, estimating it could take 7-10 years to complete. That benchmark might be correct, given that on the first day of the Manila Bay clean-up ALONE more than 40 tons of garbage were collected by volunteers and workers. The work to shut businesses dumping untreated wastewater into Manila Bay will also require some time, and could potentially lead to costly and painstaking legal battles. It will also be a challenge policing the Bay after it has been cleaned-up to ensure no establishment or individuals dump garbage into the water or the shore. However, there is huge potential this project can transform Manila and the lives of many people. A lawmaker has already suggested employing 1 million workers to facilitate in the clean-up efforts, providing much-needed jobs. Such a project requires great determination and political will, but so did Boracay and the Government succeeded then.